Shaking things up with a fun, interactive card is like including a fun little bonus gift for your recipient. Every time they pick up the card and give it a wiggle, they'll smile and think of you and your thoughtfulness. 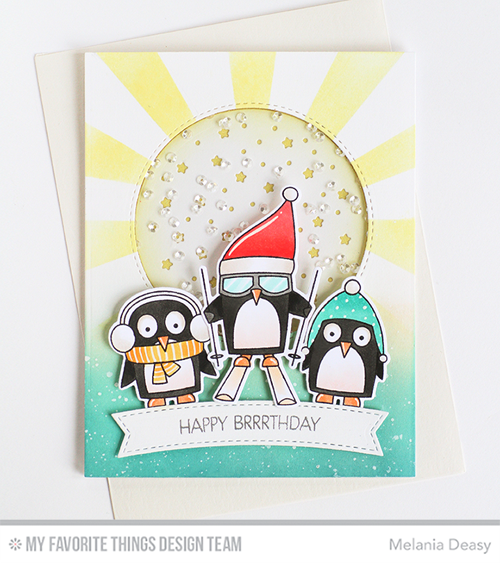 There are lots of different ways to use MFT Die-namics to create shaker cards. Keep reading to check out a few of them, including our January 2017 Release Class - Otter Shaker. Make sure you subscribe to our YouTube channel as well so that you don't miss a single tutorial! A little bit of sparkling filler sandwiched between die-cut and acetate layers provide a pretty backdrop to Melania's chill friends. From our Blueprints line to our extensive collection of Cover-Ups, there are endless options when it comes to using built-in compartments to contain your shaker components. 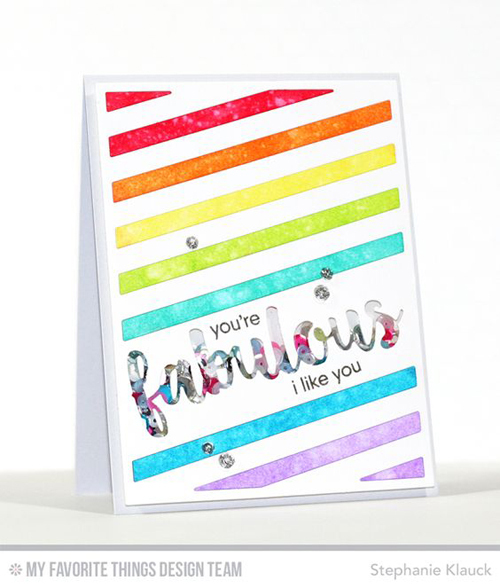 Big, bold letters and sentiments are a fun option for creating shaker looks. Pro tip: make sure to save those interior letter pieces to complete your sentiment - use the negative to line everything up before adhering to the acetate! There you have it - now it's time to take on the shaker trend yourself! Make sure to tag your next MFT project with #mftstamps - you might just be spotted!